To a signal engineer this looks extremely serious and I'm not supprised RAIB has decided in the circumstances to undertake an investigation. 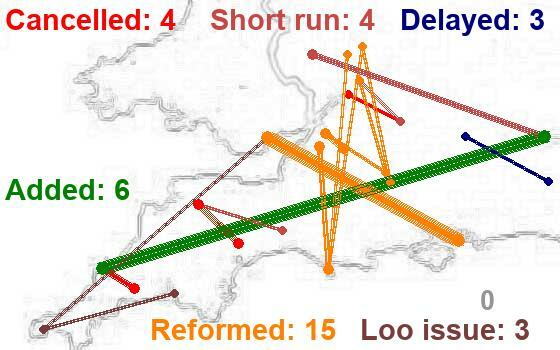 Investigation into the loss of speed restriction data to trains on the Cambrian line, 20 October 2017. During the morning of Friday 20 October 2017, a train driver travelling on the Cambrian coast line in North Wales reported that long standing temporary speed restrictions were not indicated on their in-cab display. As signalling staff at the control centre in Machynlleth investigated this report, they became aware that this failure applied to several trains under their control. 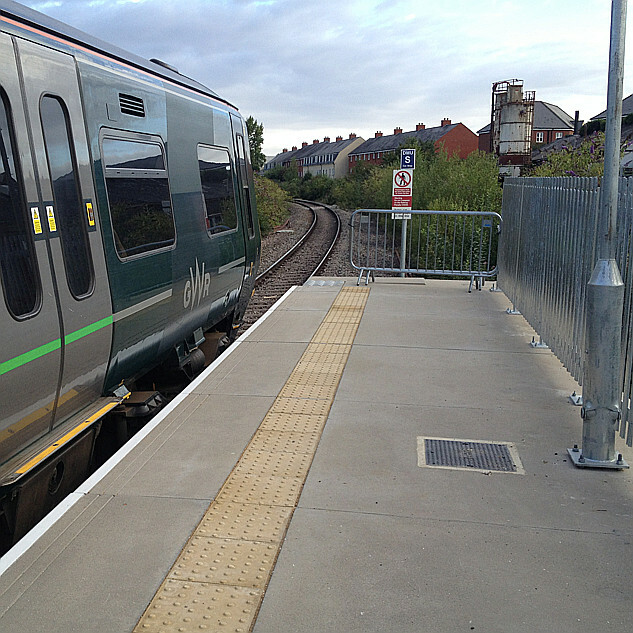 The temporary speed restrictions were required on the approach to level crossings so that people crossing the line had sufficient warning of an approaching train. The Cambrian lines were equipped in 2011 with a pilot installation of the European Rail Traffic Management System (ERTMS), a form of railway signalling. ERTMS removes the need for signals along the track by transmitting data directly to the train. This data is used to display movement authorities and other information such as temporary and permanent speed restrictions, on a screen in front of the driver. Subsequent investigation found that the signalling system stopped transmitting temporary speed restriction data after a routine shutdown and restart at around 23:10 hrs the previous evening. The signallers had no indication of an abnormal condition and signalling control centre displays showed these restrictions as being applied correctly. The RAIB has decided to undertake an independent investigation because to date, the signalling system supplier has not identified the cause of the failure. It is possible that finding the cause would have been assisted by downloading of suitable data from the signalling system before it was restarted during correction of the failure. An additional procedure, since introduced at the control centre, is intended to identify and avoid any recurrence of the failure. practices for the gathering of data needed for investigation before restarting computer based signalling systems after a potentially unsafe failure. Indeed. We all know software has design faults, and I've observed corrosion, but it's not meant to suffer from gales, vandalism, attacks by livestock, or whatever else removes lineside signs. Now, who are these "suppliers"? RAIB should tell us when they report, but all I can find is that Systra claim to have done systems integration (on- and off-board). That might or might not involve writing "glue" software, but I'm sure all the boxes were made by other companies. I wonder when the RAIB were informed and whether "to date" means up to the date of the new report - 4 months. The driver noticed the longstanding one. But what about the recent ones the driver did not know about? - If there were any? Why would ERTMS have required a "routine shutdown and restart"? Also frequently used on First Kernow busses! already allocated to another train. a support computer system (the GEST server described at paragraph 25). The remainder of the report discusses at some length the ongoing attempts to discover why the GEST server repeatedly failed to provide details of the TSRs to the signalling system. What it doesn't discuss is the so-called "rollover". Why would a train's on-board equipment automatically request "a movement authority already allocated to another train" ? Is this part of the ERTMS spec? And why, if this causes a system reboot that halts trains under the control of the Machynlleth system for about 15 minutes, has it been tolerated "between 10 and 12 times each year"? Agree with you it seems very odd that a train can request an already issued movement order. Also your point that the RAIB don't seem to have queried why this happens at around once a moth and requires a rollover which stops the trains for 15 minutes. Do they just come to halt anywhere on the line, not necessarily a good idea given some of the gradients? Can the driver override it (on instruction)? Before asking those questions, I'd want to know more about how ERTMS (aka ETCS) works - such as what constitutes the same movement authority? If a train haasn't been issued with it, how can it request it, rather than a different one for the same track section? I wonder if this is because the MA is already pre-allocated as part of a route. But of course ERTMS is complicated stuff - no, more complicated than that! I can see that this is a cobbled-together experimental system only fit for a lightly-used line, so its shortcomings may have been acceptable. But I am puzzled that it (the GEST) was based on an existing system in use is Spain, yet Ansaldo have design data for it. Remember, this is an interim report.